This Saturday, March 1st at 4 PM the Saturday Seminar will be on the subject of work. Dolan Williams will go over using the book, The Problems of Work. It contains the application of Scientology® principles to the workaday world. By use of these principles, work ceases to be mere drudgery, stress and exhaustion and becomes a stable, productive activity filled with purpose and personal satisfaction. The book contains drills and procedures you can use to immediately increase ability and competence at work. "This was an amazing course. My biggest wins were learning and truly understanding FULL RESPONSIBILITY. I understand that I am cause on all dynamics and this will help me every day in life. I also loved the idea of Life being a game that shouldn't be taken too seriously. It's good to know you'll get another shot at it. Whew!" David- "I got a lot from this course. The main part that sticks out to me is how one's environment and life would be based on your tone level. If I am high toned then things will go well for me and those I am near. If I am low toned then things will turn bad and I will fail in life. Doing this course has raised my tone and increased my survival on all of my dynamics in a magical way. Only it's not magic - it's mathematically based on my tone that things will survive well. The value of this course can not be measured in dollars. You can't buy something this good. Well, I guess you can by buying the book and doing the course. (wink) "
Lisa- "I understand human behavior like I never have before. I wanted to get this information as fast as possible because I needed it badly and I am so happy that I put in so much extra study time and kept to this goal. I was really sick yesterday- I decided to read Science of Survival because I only had a few chapters left. Within minutes I was feeling better and had no attention on my body. I was able to wake up today feeling like I could take on life again. There is so much that came to light that I did not grasp or even think about before. I won't list each one out (you should just read this book!). It was like before I read Science of Survival I was wearing a hood over my head. I couldn't see anything and I kept wondering why things were a certain way and I would get frustrated at the way people acted or how I reacted to people. Now the hood is off and I can see! I have this trusty tool (the Hubbard Chart of Human Evaluation) and I know how to use it at work, with family, with friends, students and myself. 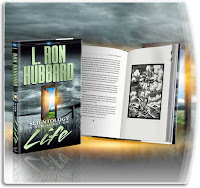 The Basics are amazing- thank you L. Ron Hubbard! " "Though I have listened to and studied the study tapes before, this is the first time I've listened to them since they've had transcripts and since the misunderstood word data has been revised. I now have a complete understanding of how to approach the study of a new subject, an old subject, one I've had trouble with and especially the study of Scientology. I know that if I get into trouble while studying I have the tools to fix it and get on track and to understand and apply what I am studying." Joe Feshbach is a veteran Scientologist and has been enlightening others about the subject of Scientology for decades. He can teach you how to talk to your friends and family about Scientology. All Scientologists are welcome. 1. Visit the Scientology.org website. This is the official church site which has the truth about Scientology. 2. 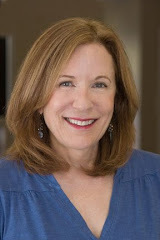 Visit the ScientologyPaloAlto.com website. This is the mission's site which gives introductory information. 3. Read a book about Scientology. 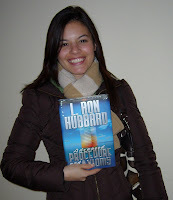 I recommend Scientology: The Fundamentals of Thought which is available online at ScientologyInfo.com. 4. Come into a Church of Scientology and find out for yourself.